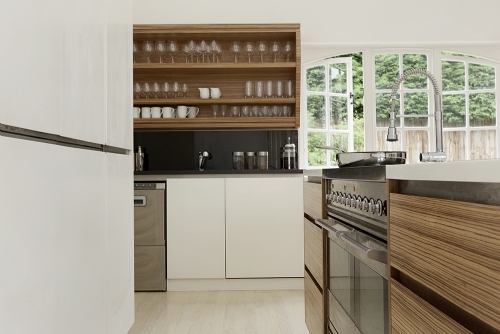 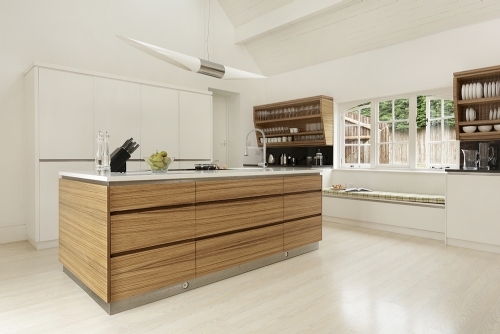 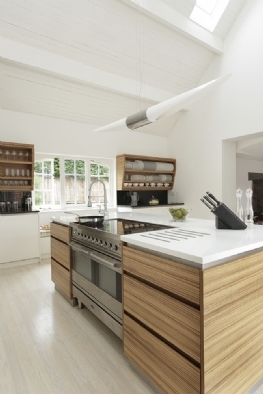 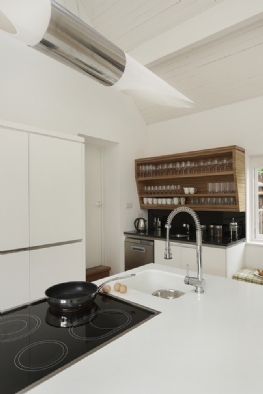 A striking horizontal Zebrano grain pattern adds drama to this cutting-edge kitchen. 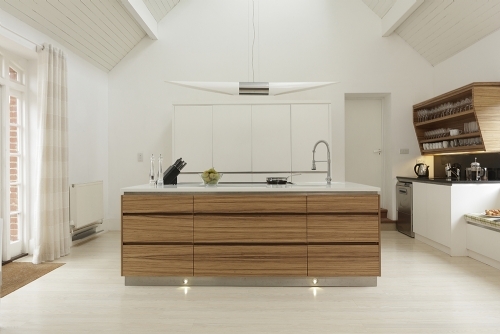 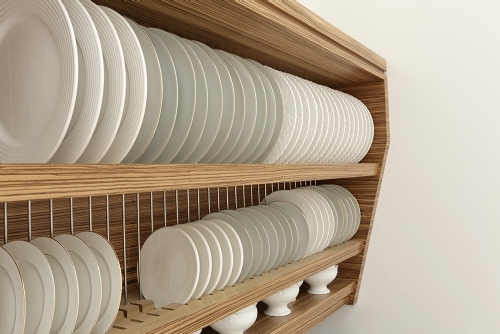 The island is topped in crisp Corian, while the two plate racks were made to the exact dimensions of the owner's crockery and glassware. 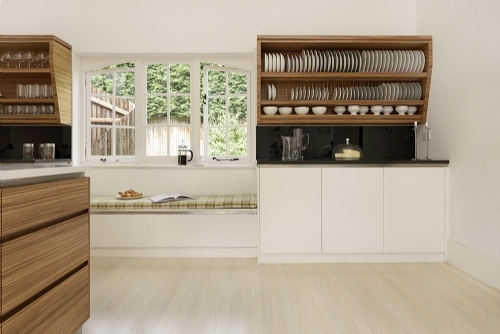 The padded window seat conceals deep storage bins within, accessible via a lift-up lid, and the main fridge and freezer is fully-integrated behind full-height doors on the rear wall.